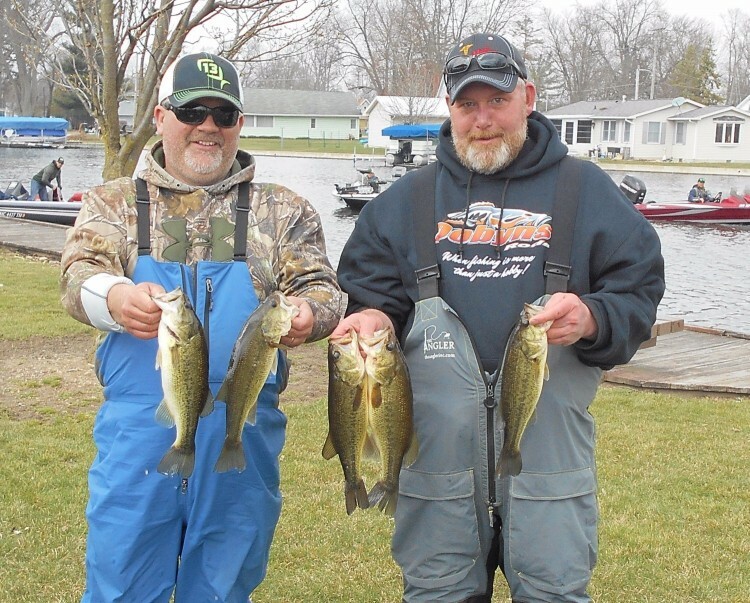 1st Place: It should come as no surprise that the duo with the most Top 5 finishes in R & B history, Mark Farver and Steve Kline, claimed their first Open Tournament victory on a stingy bite. 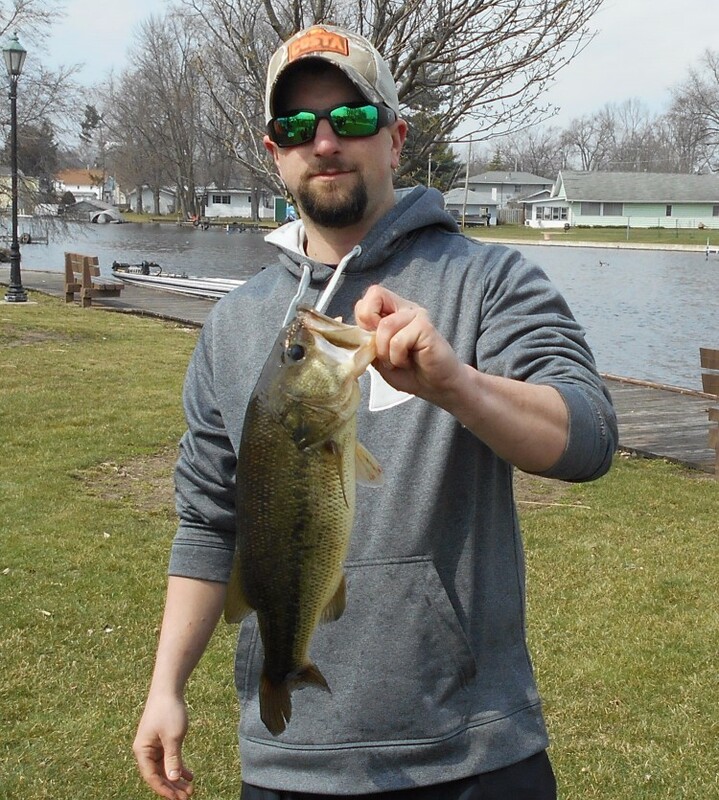 Of 48 teams, only 6 managed a 5 fish limit. Their 12.11 pound limit scored them $620. The previous day they located two schools of fish and tapped into both of them during the tournament. Both schools were between 8-10 feet of water. 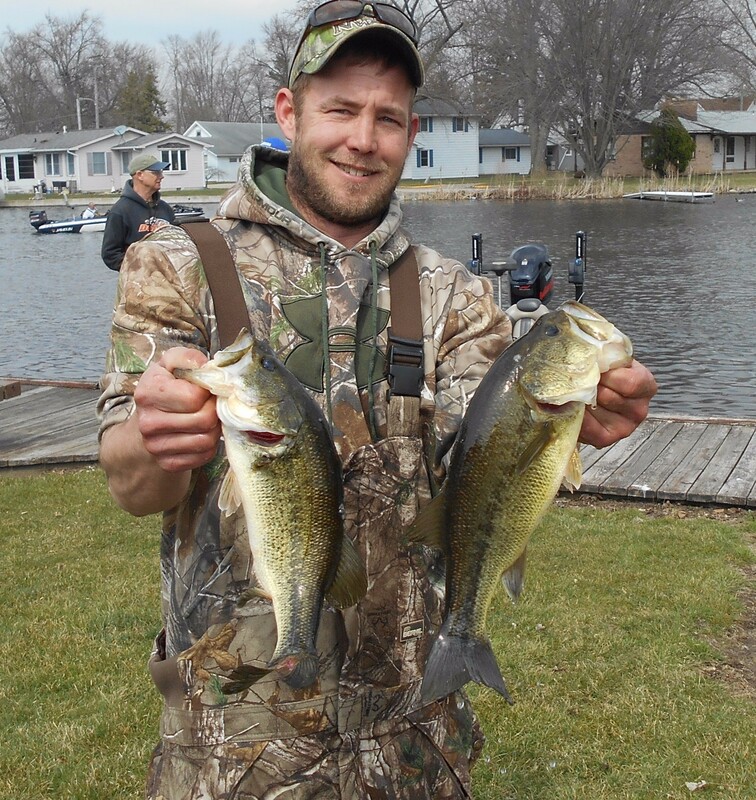 Their three biggest bass fell victim to jigs while their two smaller keepers bit Erie Darters. 2nd Place: No one is surprised when legends Greg Mangus and Kevin Fletcher land in the top 5. They are tops on the All Time Money winners list and lost track of tournament victories many years ago. They were the only other team to seize a double digit weight, 10.60 pounds, and were awarded $370 for their efforts. Adding another chapter to their lore, the team caught a whopping 20 keepers when only 6 teams could manage 5! 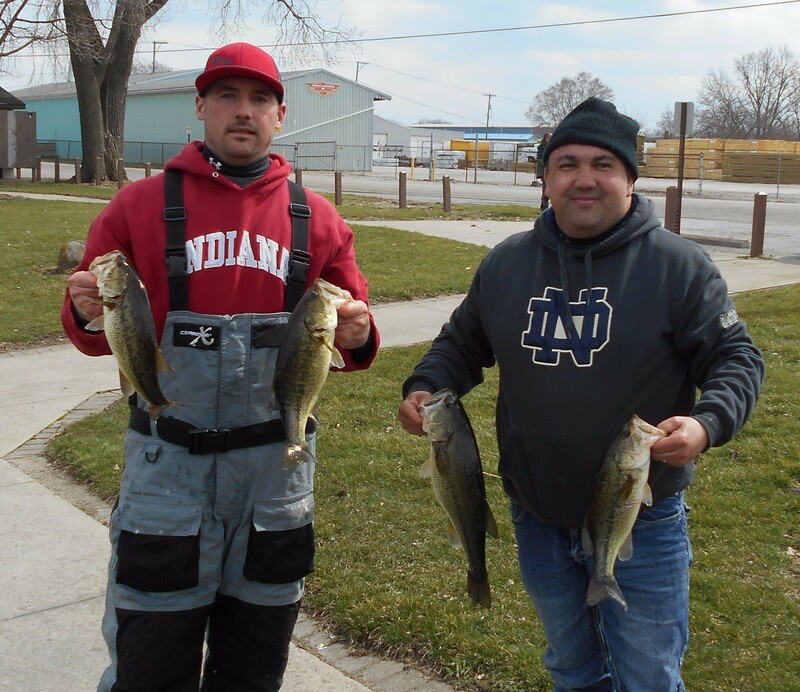 Fish were caught in water 4-6 feet deep on Mango Magic colored Erie Darters. 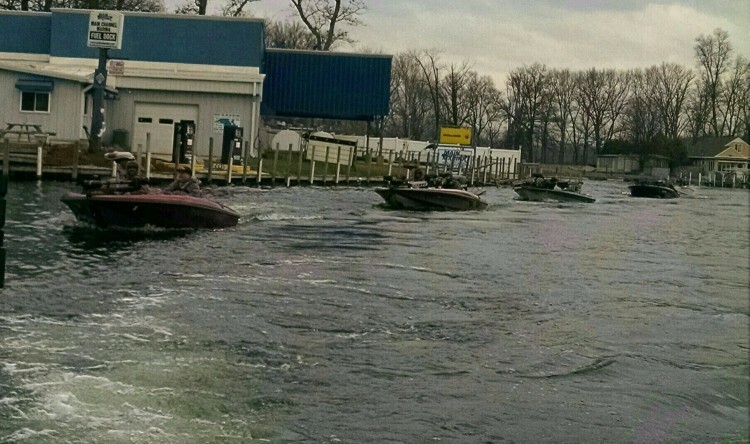 Several areas produced, but the best had a gradual slope to deeper water nearby. 3rd Place: Anyone who has failed to recognize Bear Griva (pictured) and Mike Klavinski as one of the premier teams in Michiana has been sleeping under a log the past few years. In just two seasons with the R & B, they boast two Season Champion titles, including last season that included 3 tournament victories plus a Classic victory. They are tied for the most victories. They won the Classic in an unconventional way, and this tournament was more of that. 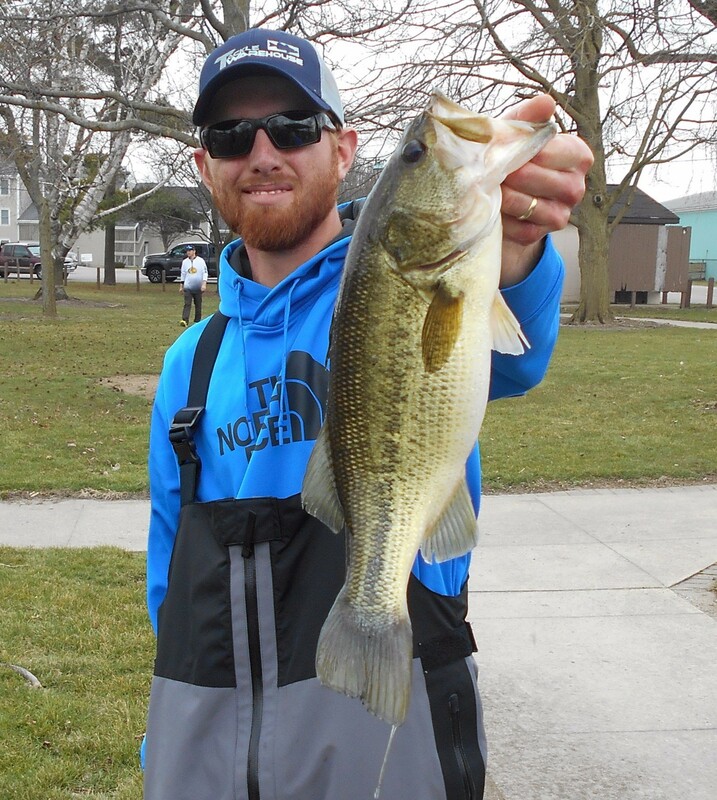 Despite being March 25 with water temperature in the low 40's, they employed traditional pre-spawn baits - lipless crankbaits and jigs in water less than five feet deep. to rack up 12 keepers and win $275. 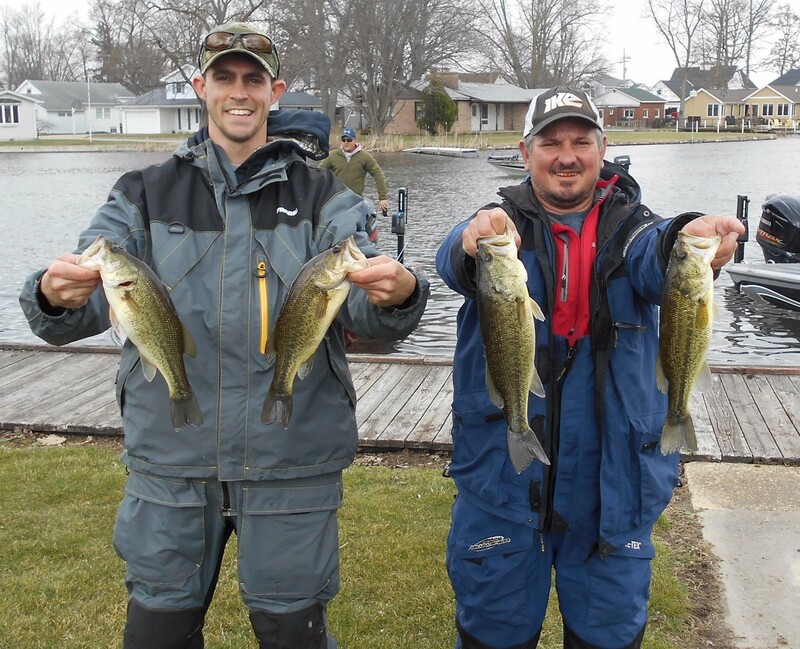 Big Bass Award: A 3.92 pound fish was fooled by a lipless crankbait and won Corey Marzion (left) and Casey Olds $380. 4th Place: Four fish weighing 7.45 pounds by Evan Lambert and Sean Cleland (left) earned them $180. 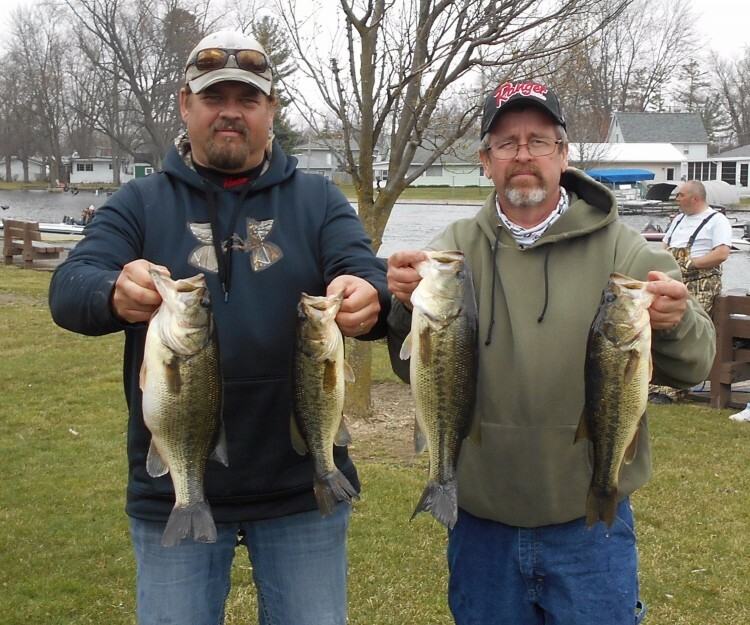 6th Place: A 7.41 pound limit by Jeremy Bunnell and Lee Duracz (left) secured them $115. 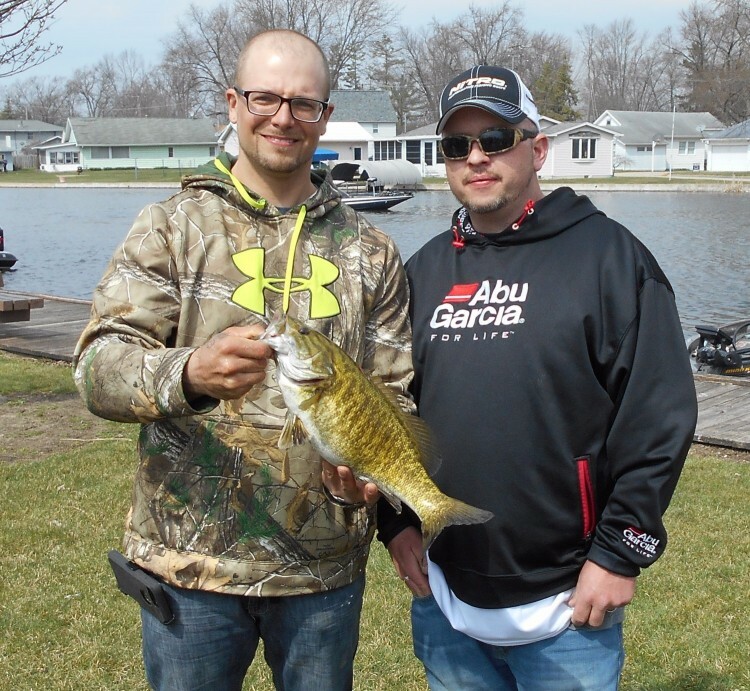 8th Place: Winners of last year's Open Tournament at Lake Manitou, Andrew Quillen (pictured left) and Dan Brock brought 6.82 pounds to the scales and won $80.